History as Prologue - My reflections of today's events through a discussion of American History. 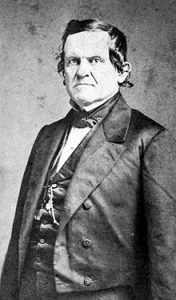 It was on this date in 1860 that Kentucky Senator John J. Crittenden introduced the famous compromise legislation he and others hoped would head off a civil war. Kentucky Senator John J. Crittenden was a founding member of the Constitutional Unionist Party. 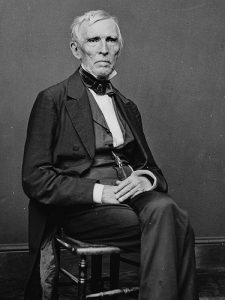 The doomed Crittenden Compromise called for six new amendments to the Constitution that would essentially revive the Missouri Compromise borders for slavery, strip Congress of most powers to regulate slavery, bolster the Fugitive Slave Law, and guarantee the institution of slavery for the South. South Carolina Governor Francis Pickens owned 276 slaves in 1860. The impetus for the proposed legislation was the imminent vote of secession by South Carolina as well as the likely actions by a number of other slave states. Following the election of Republican candidate Abraham Lincoln on November 6, South Carolina Governor Francis Pickens called for a state secession convention on the very day Crittenden offered his compromise in the U.S. Senate. The previous day, Pickens penned a request to President James Buchanan proposing that federal troops stationed at Charleston Harbor’s Fort Sumter be replaced by South Carolina militia already staged nearby. Buchanan sidestepped the issue, no doubt sending what was, perhaps, the unintended message that such a proposal might be accomplished with more negotiations. became the first state that voted to secede from the Union. Still, Crittenden’s bill received lackluster attention as seven other states voted to secede by February 1, 1861. Lincoln took the oath of office on March 4, 1861, and on April 12, Confederate forces opened fire on Fort Sumter, essentially making the Crittenden Compromise a dead issue.